Linda McCauley, PhD, RN, FAAN, dean of Emory's Nell Hodgson Woodruff School of Nursing, has been named among the Atlanta Business Chronicle’s 2018 Women Who Mean Business. The Atlanta Business Chronicle is recognizing McCauley and 20 other Atlanta-area women for making significant strides in their careers, having an impact in their communities, and paving the way for generations to come. 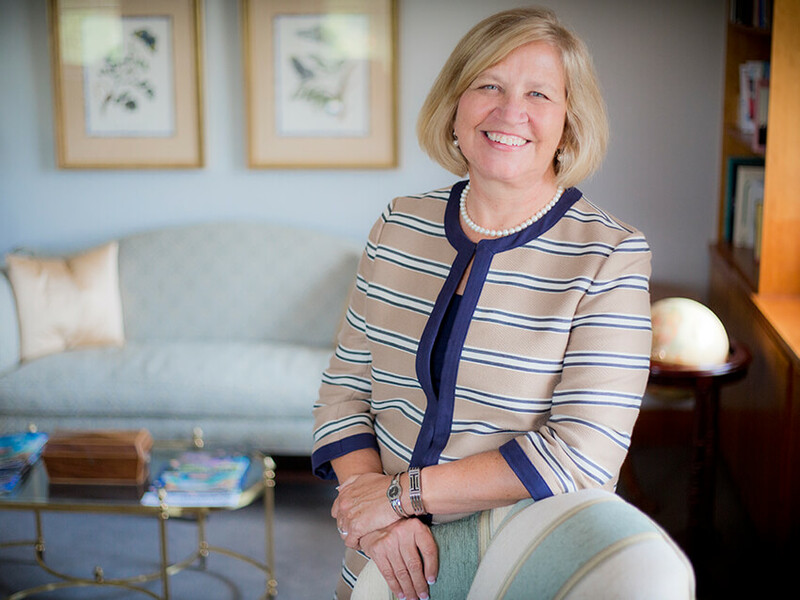 McCauley, who has served as dean since 2009, has seen many high-profile accomplishments for the school during her tenure. This includes being ranked the No. 3 nursing school with graduate and doctoral programs, according to U.S. News & World Report. The school remains the top-ranked nursing school in Georgia. Enrollment at the Emory School of Nursing has reached an all-time high, having doubled what it was five years ago during McCauley’s tenure. Upon graduation, students of the School of Nursing go into a diverse array of fields including patient care, public health, government, and health systems leadership. McCauley is the co-principal investigator of a Children’s Environmental Health Center at Emory, jointly funded by NIH and the EPA, comprising the largest federal grant ever awarded to the School of Nursing. Center researchers are examining how environment effects the health of African American mothers and children, before and after birth, with the overarching goal of preventing preterm births. It is the school’s largest interdisciplinary effort, with partners from public health, medicine, psychology, and more. The 2018 Women Who Mean Business winners will be recognized at a dinner on Oct. 18 at American Spirit Works in Atlanta.